Jeff began his career in funeral service as a registered apprentice funeral director and embalmer in 1981. He has almost forty years of practical experience in the funeral service industry; having worked in Rhode Island and Southeastern Massachusetts. 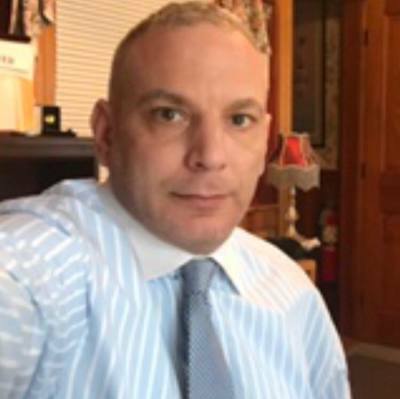 He is a licensed funeral director and embalmer in the States of Massachusetts and Rhode Island and is Certified as a Funeral Service Practitioner with the Academy of Professional Funeral Service Practice. Jeff purchased the establishment from David and Henrietta "Gidget" Roberts in October, 2015. He earned an Associate in Science Degree in Funeral Service from the New England Institute of Applied Arts and Sciences, Boston, a Bachelor of Arts Degree from Rhode Island College, a Master of Education Degree from Cambridge College and completed graduate studies at Boston College, University of Rhode Island and Providence College respectively. Jeff was the former Department Chair and Associate Professor of Funeral Service Education at the New England Institute at Mount Ida College (closed in May 2018). He is a member of Pi Sigma Eta Funeral Service Honor Society, National Funeral Directors Association and the American Society of Embalmers. He is a Third and Fourth degree member of the Knights of Columbus. Jeff is honored and proud to continue the 179 year tradition of the F. S. Roberts & Son Funeral Home. Dana joined the F.S. Roberts & Son Funeral Home in June 2017 as a Registered Apprentice Funeral Director/Embalmer and serves as the Veterans Service Specialist. In 2014 he earned a Certificate in Thanatology from Bristol Community College in Fall River, MA. In January 2018 he earned a Bachelor of Science Degree in Funeral Home Management from Mount Ida College in Newton, MA. He is a member of Pi Sigma Eta Funeral Service Honor Society. He proudly served in the Massachusetts National Guard where he deployed to Ghazni, Afghanistan in support of Operation Enduring Freedom from 2011 to 2012. Dana currently resides in Rowley and is actively involved in many interests within the community. He particularly enjoys spending time with his daughter Hailey whom he adores as well as his loyal dog, Lucy.